U.S. Senator Ted Cruz will face off against Representative Beto O’Rourke in the November General Election. However, Governor Greg Abbott will have to wait for the May runoff election to learn who his opponent will be. Senator Cruz easily handled four challenges in his first bid for re-election to the Senate. By press time, Cruz had quickly jumped out to a massive lead — gathering well over 80 percent of the vote. In the Democratic Primary, Rep. O’Rourke had a more difficult time putting his two challengers away. 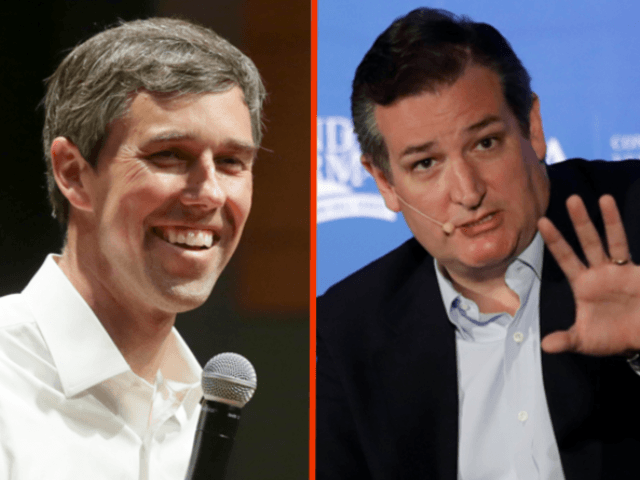 As votes trickled in, O’Rourke struggled to maintain just over 60 percent of his primary’s voters. Governor Abbott will have to wait to learn who his challenger will be as Dallas County Sheriff Lupe Valdez jumped out to a significant lead over Houston businessman Andrew White (son of former Texas Governor Mark White). It appears Valdez lead will not grow to the point where she could avoid a costly runoff election. In the Lt. Governor’s races, incumbent Lt. Governor Dan Patrick will also handily win his party’s nomination for re-election. Democrat Mike Collier jumped out to an early lead of about seven points over Michael Cooper. Both parties held uncontested races for the state’s attorney general. Incumbent Ken Paxton will face the Democratic challenger, Justin Nelson. Comptroller of Public Accounts Glenn Hegar will have to wait until late into the night to learn who he will face off against in November. Democrat challengers Joi Chevalier and Time Mahoney appear to be locked in a very tight race with about a three-point difference at press time. General Land Office Commissioner George P. Bush may have staved off three challengers, including his predecessor, Commissioner Jerry Patterson. At the time of this publication, Bush leads Patterson by 56 to 31 percent. Davey Edwards and Rick Range trailed in single digits. If Bush’s lead holds, he will face off against Democrat Miguel Suazo who appears to have garnered more than 70 percent of the vote. Agriculture Commissioner Sid Miller also appears to be headed to victory over two challengers, Jim Hogan and Trey Blocker. Miller took in about 56 percent of the vote while his two opponents appeared to split the difference with about 22 percent each. Miller will face Democrat Kim Olson who ran uncontested in the Democratic Primary. Incumbent Railroad Commissioner Christi Craddick handily defeated challenger Weston Martinez in the Republican Primary with more than 75 percent of the vote. It appears Craddick will face Roman McAllen who is currently leading Chris Spellmon by a 59-41 margin. Democratic voters turned out in record numbers for early voting in the 2018 primary, Breitbart Texas reported. It appears they may have nearly doubled the turnout of the 2014 primary. Final voting numbers will not be available until late Tuesday night or early Wednesday. Editor’s Notes: All race positions are reported from the Texas Secretary of State’s website as of about 10 p.m. on election night. Some results may change as final results come in.